Roof slope (also called roof pitch and sometimes referred to as roof grade) is calculated by the simple trigonometric formula of rise over run. By calculating vertical rise divided by horizontal span, roofers are making use of the tangent function that we all learned way back in high school and thought we would never learn again. This calculation of slope determines the hypotenuse of a triangle which in this case is the square area of roof. By making use of this simple calculation, roofers can better understand the size of your roof and the amount of materials (namely shingles and sheathing) that will be required to complete a roofing replacement. Roofers will generally refer to the pitch in casual lingo by utilizing the imperial measurement system… for examples a roofer might state, “Your porch is a 2:12 so we have to go to mod bit.” Now, regardless if you know what mod bit low slope roofing is, you probably noticed that ratio that was casually thrown into that sentence. This ratio simple refers to roof rise denominated by roof run. A low slope is anything under a 3:12 (also sometimes just called a “3”), and a steep roof is anything over an 8. If you are dealing with a reputable roofing contractor, these numbers will not only affect price due to the square footage factor in materials cost, but they will also effect the type of material that can go on your roof, the type of installation equipment the roofer will need, and the safety protocols required to work on your roof. The pitch of a roof is most often obtained by using a pitch gauge. 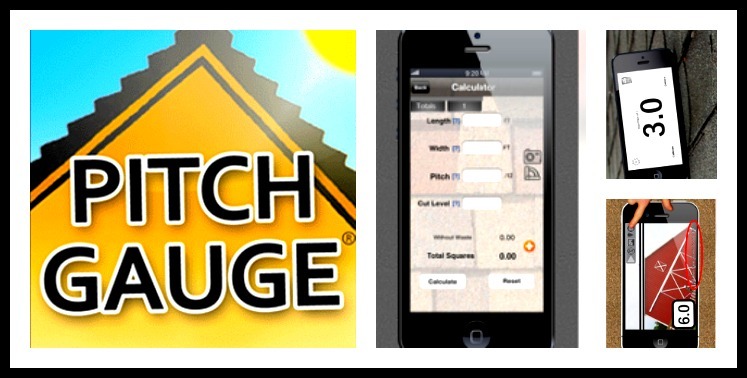 There are many types of pitch gauges including clear plastic gauges that can be held up directly to the outline of the roof, dial-style instruments that indicate angle according to level, as well as applications that can be installed directly to a cell phone. What do you do when your roof is a 2/12 slope or under? How about some high quality residential low slope roofing by CertainTeed also known as the self-adhesive SBS modified bitumen roofing system. It is comprised of a self adhering inter ply, nail able or self adhering base with top surface designer to accept a self adhering membrane, and a self-adhesive cap sheet. Keep in mind the cap sheet is also available in a fire rated version.